Street Fighter V – Here come even more new challengers! 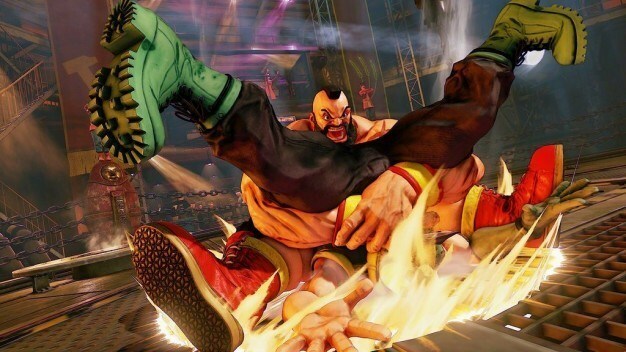 Hot of the heels of arrogant schoolgirl Karin Kanzuki, who will be making her classy presence felt to all and sundry, Capcom have revealed not one, but maybe two more members of the launch roster for the upcoming Street Fighter V.
Returning to the battlefield is the iconic Zangief, Russian wrestler extraordinaire and part-time bear brawler. Zangief brings with him all the spinning lariat and pile-driving antics he is world-renowned for, having been crushing heads and taking names ever since his debut in the legendary Street Fighter II, way back in 1991. Unfortunately for Capcom, it appears that Zangief’s reveal may have accidentally leaked images of an all-new fighter. Laura hails from Brazil and appears to rock a fighting style that combines lightning kicks (literally) with a Jiu-jitsu grappling game for those close-up encounters. 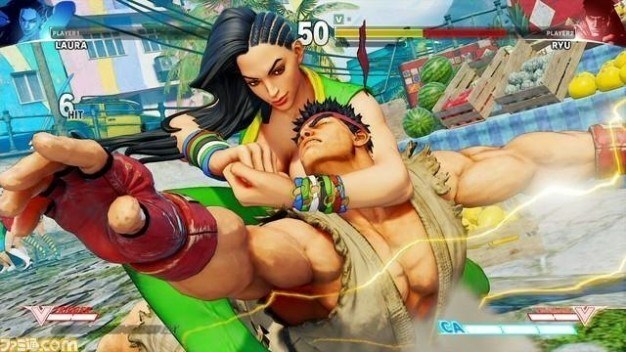 Laura is fashioned with half a haircut, baggy Capoeira pants and a monstrous pair of feet, even by Street Fighter standards. These two reveals bring the character roster to 14, leaving just two remaining spots for launch, one of which will be another original character. Capcom state that the game will feature many roster updates after release and are currently undergoing a lengthy Beta process to fine-tune the game’s online capabilities. So, are your favourites in the game yet? Because mine sure aren’t. Despite this, SFV is shaping up to have one of the most varied and interesting world warrior selections to date, and I’m sure the world will be ready to rumble come release day. Street Fighter V will be released on PS4 and PC in the first quarter of 2016.